The Big Idea: Meet Buddy the monster, who feels anxious in the dark and needs to think through a solution. Kids will learn Buddy’s “Breathe, Think, Do” plan. After reading, ask: “How does Buddy feel now? How did he handle his big feeling?” Look back at page 2 to review Buddy’s steps. 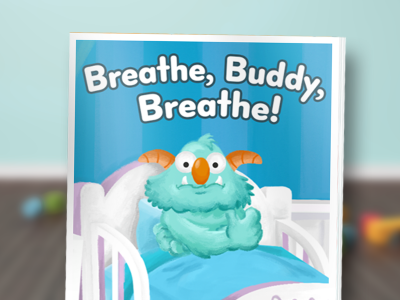 Encourage kids to use Buddy’s “breathe, think, do” strategy next time they have a big feeling. « Back to Breathe, Buddy, Breathe!